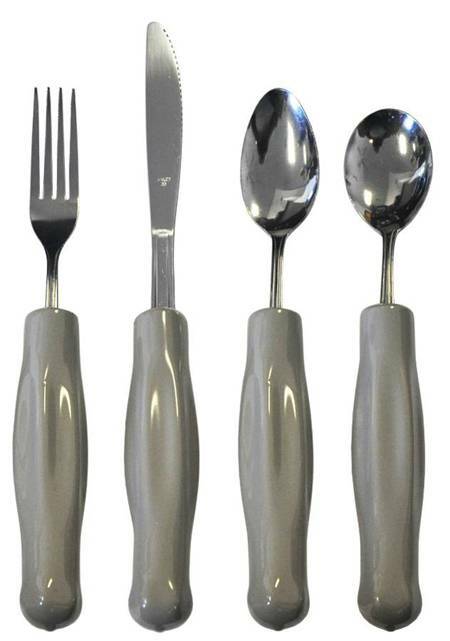 Dining with KEatlery utensils, as with other weighted utensils, will lessen your hand tremors allowing you to eat more successfully and with greater skill. The results are fewer dribbles and spills on your clothing and table linens. 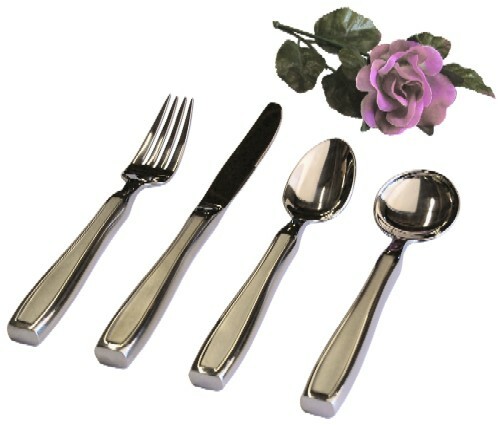 KEatlery utensils have the appearance of normal, good quality flatware. Your dining companions will never know you are using adaptive utensils. 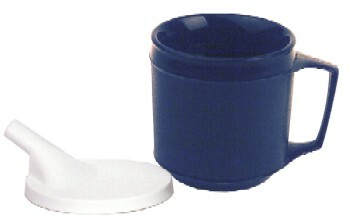 The handles of these adaptive utensils are solid which gives them their extra heavy weight. Each utensil weighs approximately 8 ounces which makes them heavy enough for those suffering from Parkinson's, Ataxia, Familia or other disorder which causes hand tremors or shaking hands. A slight indentation on the handles places your fingers in a comfortable ergonomic position. 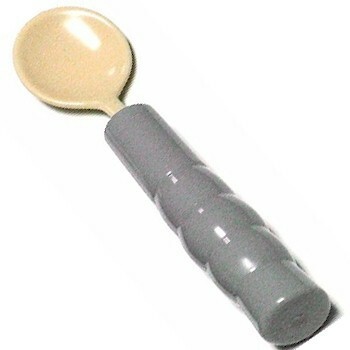 The soup spoon has a recessed edge and a slightly deeper bowl to assist in preventing spills. These lovely KEatlery utensils are institutional dishwasher safe. The utensils are between seven and nine inches in length, depending upon the piece. Sold as a set of four. These utensils will last for decades!